Mississippi Senator Cindy Hyde-Smith is headed for a run-off election against Mike Espy, a Democratic challenger who, if elected, would be the state’s first black Senator since Reconstruction. 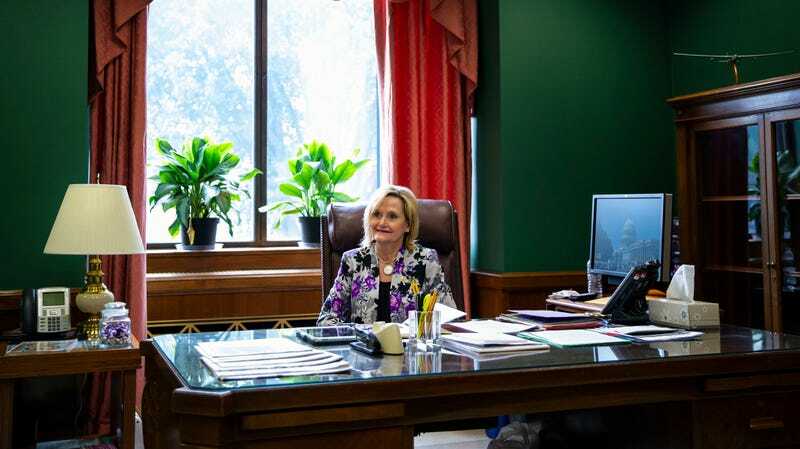 With that historic opportunity in mind, then, please note that on Sunday a video surfaced on social media showing Hyde-Smith making a joke about attending a public hanging, conveniently forgetting (or not!) that Mississippi had the most post-Civil War lynchings of any state in the country. The video was posted to Twitter by Lamar White, Jr. on Sunday, who says it was taken while the Republican Hyde-Smith campaigned for cattle rancher Colin Hutchinson in Tupelo, Mississippi. “If he invited me to a public hanging, I’d be on the front row,” Hyde-Smith says to a group of white people. They all laugh. Here it is! According to the NAACP, Mississippi had 581 recorded lynchings from 1882 to 1968, making up one-eighth of all lynchings in the United States during that period. In fact, Mississippi had the most recorded lynchings of any state. It was in Mississippi that 14-year-old Emmett Till was lynched in 1955, transforming him posthumously into one of history’s most recognizable civil rights icons. How nice for Hyde-Smith, to be able to dismiss the hurt and horror sustained by a century’s worth of brutal, racist violence in her own state as “ridiculous.” I look forward to her next stint on the campaign trail, which I can only assume will include a line about loving a candidate so much she’d “burn a cross on a lawn” for him. Hyde-Smith and Espy’s runoff election is on November 27.